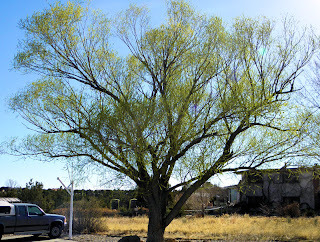 Los Alamos Daily Photo: Spring Has Sprung? Seem like overnight, some trees, not many, are showing signs of green. Los Alamos/White Rocks' altitude (7000 feet + or - 700 feet) and our cold nights (25F / 4C last night)...spring does not come early here. 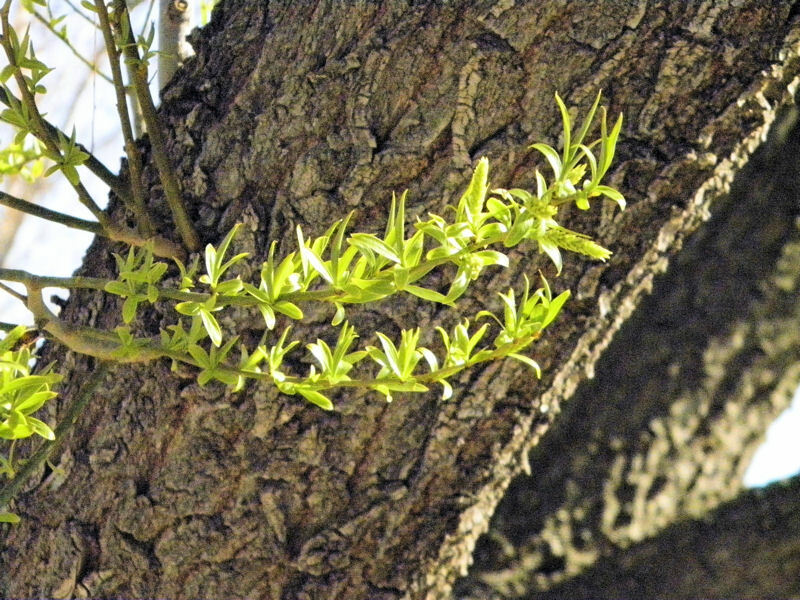 I stopped on the way home and took a picture of this early sign of spring. That is a great shot, cheers me up just looking at it.